As the 2018-19 football season gets into full swing, BT Sport is planning to tweak its on-screen and in-app coverage and looking to test out some alternative production workflows. Among the changes will be more live matches in 4K and additional 360-degree app highlights plus further trials for both remote production and high dynamic range (HDR). 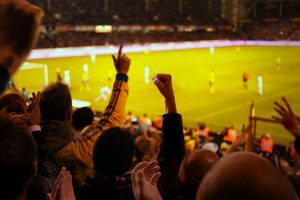 The tweaks and tests will impact on different parts of BT Sport’s football portfolio which includes not only the English Premier League but also the UEFA Champions League, the Scottish Premiership and the National League. 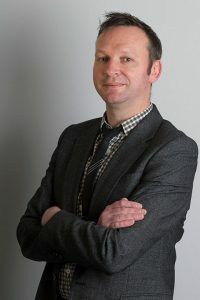 Speaking to SVG Europe, BT Sport chief operating officer Jamie Hindhaugh (pictured below) revealed that from 2018-19 all of the broadcaster’s Scottish football coverage will be captured and shown in 4K. “We’ve moved to a position where 100% of our host outside broadcasts in the UK across football and rugby are now 4K native,” he said, noting that BT Sport had previously only done one Scottish game in 4K. BT Sport currently holds the rights to show 30 Premiership and 13 Betfred Cup matches per season. BT Sport is also planning to push forward with its 360-degree highlights offering. 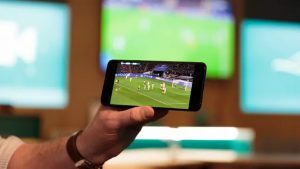 This content is incorporated into the timeline of its BT Sport mobile app and allows users to re-watch key moments in virtual reality during a live game. “We’re the only broadcaster in the world that has live 360-degree highlights incorporated within its 2D timeline and app,” said Hindhaugh. “You can choose key moments to look at in 360. This is continuing. There is a slight tweak this season in that our ambition is to do every single Premier League game and at least two games per night of the Champions League group stage. The same facility will shortly be made available for BT Sport’s rugby coverage, noted Hindhaugh. BT Sport will also be doing more remote production trials this season. The broadcaster already has experience of doing live remote production having remotely switched the Pub Cup from Leicester City’s King Power Stadium in June using bonded 4G mobile feeds. It has also worked remotely on National League coverage. Later this season it plans to make use of a 5G network to do the same. The next step will see the EE Wembley Cup, a charity match featuring YouTube stars and international football legends, covered remotely. Presentation and cameras will be at Wembley, pictures will be switched from Stratford and the output will be shown on YouTube. BT Sport will also look at using remote production again for the National League, having done some work on matches that way at the end of last season. On that occasion, wireless feeds from the camera 1 positions at every game being played around the country in the National League that day were made available in an OB unit that was covering a game live. “What it meant was that in our live game we had every goal from every other game in the truck available to us,” explained Hindhaugh. HDR is another area of focus for BT Sport but don’t expect any live 4K HDR broadcasts or streams anytime soon. The trials are ongoing. “The hold back on [HDR] is not to do with the production workflows or technology,” he opined. BT Sport trialled HDR again during the recent Women’s Hockey World Cup, a test that Hindhaugh said starkly emphasised the benefits of the technology. Having been encouraged by the results of an HD HDR trial to mobile devices during a Champions League game last season (pictured, above), those tests will also continue, he said. BT Sport’s live coverage of the English Premier League starts on Saturday 11 August with Wolves vs Everton. It will also be showing Wrexham v Boreham Wood live in the National League on the same day.